Pay-per-click marketing is one of the ingenious marketing channels that is in vogue. This cost-effective advertising can be good value money if done right. In fact, 58% of marketers are having the fear of missing out, if they don’t consider PPC management as their important component of marketing form. Considering the significant opportunities, pay-per-click is a no-nonsense way to drive high-intent traffic to the landing page. If you are relying on PPCs, it is not unknown that land page optimization is a point blank way to enhance the performance of your paid pay-per-click campaigns. However, considering the competitive market, it sometimes becomes difficult to fetch a good number of clicks. Do you face this in your business? Not so surprisingly, more than half of the PPCs are tapped by the mobile phone users. It’s a no-brainer that the mobile has become the major device for the visitors to have a direct confrontation with your ads and landing pages respectively. Making the pages responsive won’t actually do. You need to go an extra mile and optimize your landing page for the mobile users. This way you can impress both Google and the users for attracting more traffic towards the landing pages. Needless to say, how frustrating it is when the visitors leave your landing page without even converting. However, the increase in this bounce rate is not always associated with what your page has to offer. To accentuate your PPC advertising, you simply need to retarget those visitors. Retargeting is an effective way to increase your sales volume by up to 126%. This procedure will give you the permission to put in a cookie on the visitors’ browser. What’s the result? Well, your brand will not go ‘out of sight’ at least if not out of mind. Thus, you can bring back the lost visitors and lost traffic on the landing pages. Stop theorizing, start detecting. Take a sneak peek into your immediate competitors’ website & start bidding on their branded terms. This has surprisingly benefit-driven results. Firstly, making this a habit is a good source of PPC management landing page traffic. Secondly, the terms can draw your competitors’ potential customers to your website. Isn’t that a win-win situation? Google has taken the platform of email marketing by coming up with an option called GSPs aka Gmail Sponsored Promotions. It is a great way to get hold of more and more number of clicks within real-time. This form of email marketing allows a marketer to advertise their brands in Gmail encompassing the content of emails. This is still new to many of the businessmen. Get, set, go and make the most your pay-per-click campaigns before long. 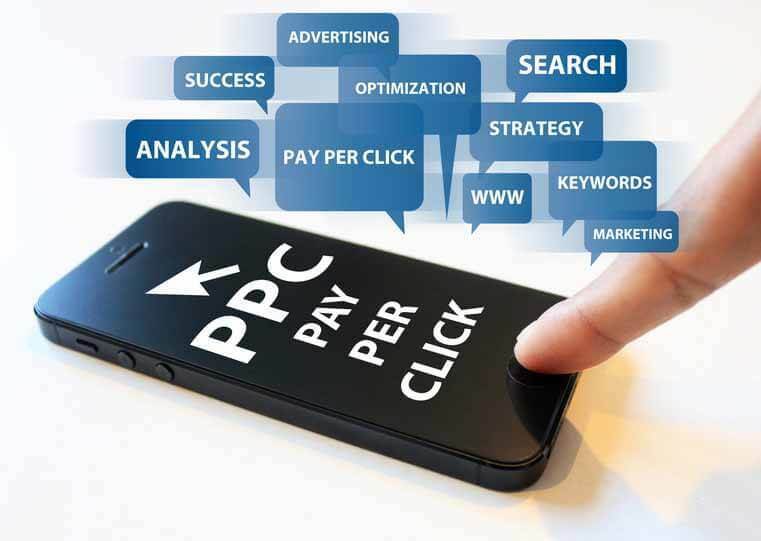 The fact is a single pay-per-click campaign holds the potential to drive a few dozen clicks, followed by conversions. However, if the ads are not driving sale, then the investment is a complete waste. So, make sure you are paying for those ads which don’t produce. If you are paying for something, don’t be the product. Chuck out the non-productive ads to save a lot of bucks and also bring organic traffic to your landing page. This is another offering from the Google to enjoy more traffic on your landing pages. With the use of the internet overlord’s In-market Audiences feature, you can hit your niche audience who are in the buying cycle. Successful marketers use this impeccable away to increase their click-through rates. A landing page offers your audience much more than mere headlines and ‘uneventful’ information. A lot depends on the call to actions on your existing page. So, make sure you create thought-provoking call to action tone throughout the landing page. Sound like a customer to have compelling result. Furthermore, if your landing page is a bit lengthy, distribute CTAs evenly for more lead generations. Use these above-mentioned tactics to drive the PPC management landing page traffic with trackable results. If you find the entire process rigmarole, reach us. Our in-house digital executives strive to help businesses grow using pay-per-click advertising. Subscribe our newsletter for more information. We promise not to spam you. Because our newsletters are new and better!